Hi! Something quick and fun today…my pal HeZkeZl Slade recently sent me a new creation of his – the Firefly machine! 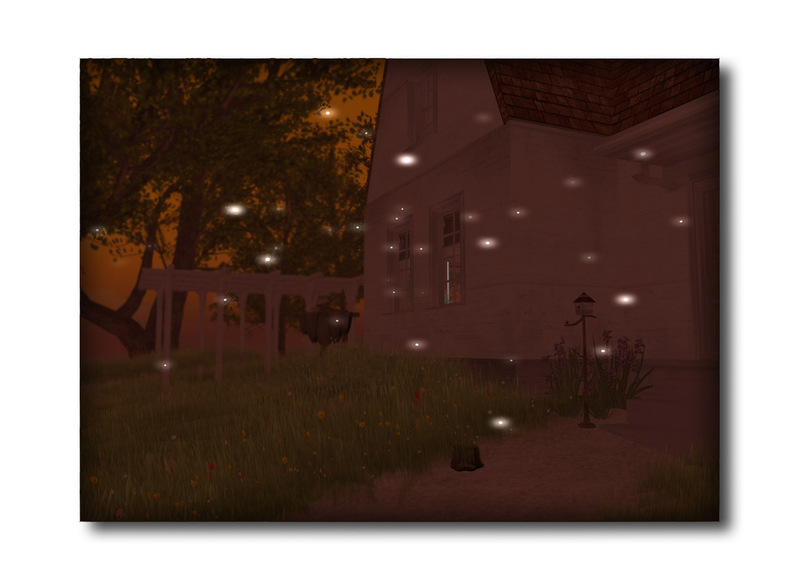 I love the look of little sparkly beings floating all around my place. ♥ Hez’s emitter is super easy to use and gives you lots of options: you can choose the amount of fireflies, the frequency, the color, the range, and whether you want them around ALL the time, or only during nightfall. So cute! This is fun if you’re looking for a little bit of spooky ambiance around your place. I like that the lightning takes different shapes and colors each time. There aren’t any options for the user here, at least not that I could find…I would have liked to be able to control the frequency of the flashes, and maybe even the color. 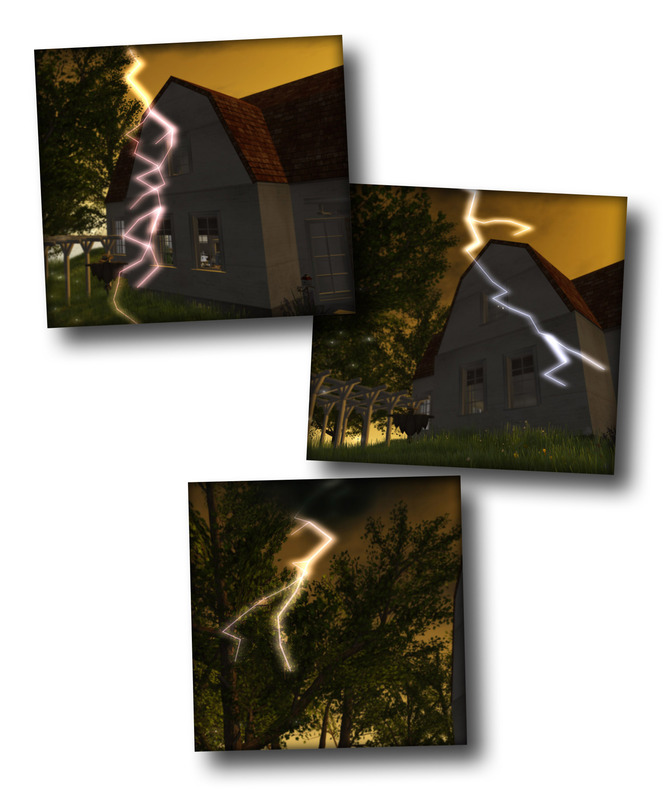 But it’s a nice little tool to have for some basic lightning to shake things up – it would be great for Halloween!